Egypt have gambled on Mohamed Salah returning to fitness in the coming weeks by naming him in their 23-man squad for this month's World Cup in Russia. 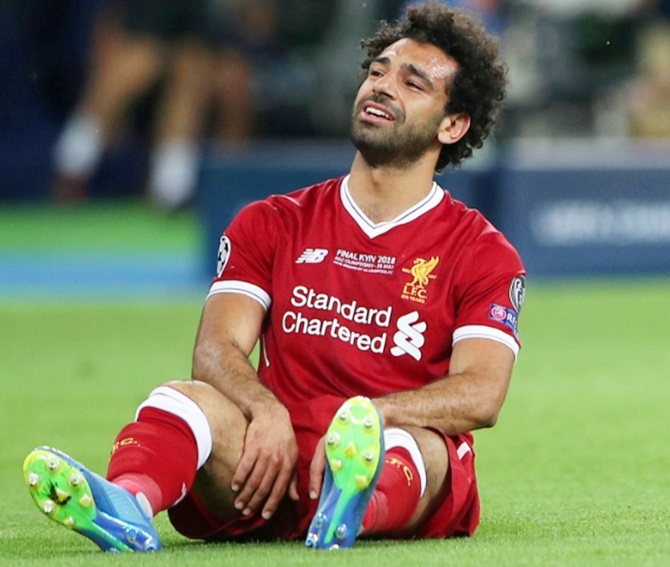 Salah is still recovering from the shoulder ligament injury suffered in last month's Champions League final when he went off early in the game in Kiev as Liverpool lost to Real Madrid. Medical staff from Egypt and Liverpool have suggested it will be touch and go for the 25-year-old to be ready in time for the seven-time African champions' opening World Cup Group A game against Uruguay in Ekaterinburg on June 15. Salah posted a picture of himself exercising his shoulder on social media on Sunday with a teasing caption of "good feelings" but no further comment on his progress. Egypt's squad also includes veteran goalkeeper Essam El Hadary, who will be 45-years-old when his side play Uruguay. Should he feature, El Hadary would become the oldest person to play in the World Cup, beating the record the 43-year-old Colombian keeper Faryd Mondragon set in Brazil four years ago. Neymar on his way to Real Madrid?